almost losing her position, she’d be exhilarated by the fragile strength that blossomed inside her, allowing her to dance even though she should collapse from lack of sleep and food. Maybe this was how it felt to be an adult,” thinks Marta. In such moments of inferiority, the author’s passion for the subject is restrained; she does not overstate the character’s sacrifices and successes. One of the novel’s themes is an unusual one for YA: the recognition that one is not entirely in control of destiny. For example, Marta wonders, “What do you say to someone like Madam who dislikes you, someone who controls your future?” Indeed, it becomes unclear not only whether Marta will maintain her position in the company, but whether she will survive it. A pure coming-of-age tale with moments of quiet drama, 84 Ribbons is about thriving despite the imperfections of life. In Paddy Eger’s novel, 84 Ribbons: A Dancer’s Journey, young Marta Selbryth travels from the small town where she lives with her widowed mother to Billings, Montana to join the Intermountain Ballet Company, a fictitious second-tier ballet company. From the start, she makes awkward mistakes, such as arriving several days late because of an error in a letter and later, being caught mimicking the company’s stern artistic director, Madame Cosper. But Marta is determined to make her mark and she believes that it will take accumulating 84 ribbons, or 42 pairs of pointe shoes, before she will get a solo role with the company. Considering how quickly dancers go through shoes, that number seems awfully low – to her credit, Marta does realize the naivete of that statement later on in the book. I generally like books set in the ballet world, so 84 RIBBONS was a good book for me. But it’s more than just a ballet book. Yes, Marta’s dream is to dance professionally and she does, but this book is also a coming of age story. Issues that were ignored at the time, such as depression and eating disorders, are worked into the book. Marta deals with a lot in her first year of independence, and I think a lot of readers will find something to relate to even if they have no interest in ballet. Read the full review at Leeanna’s blog. 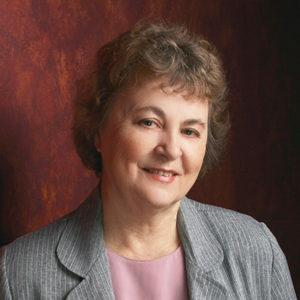 Author Paddy Eger takes readers into the real life world of ballerinas. Young readers will get a first hand look at the excitement, hard work, and sacrifice it takes to reach their dreams. …Vivid imagery fills these short chapters with character and emotional that will keep any reader engaged and connected. Read the full review at Kristi’s book Nook blog. 84 Ribbons is an alluring story about the roller coaster known as life and the struggle to find that special niche that ends in happiness. 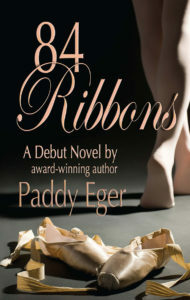 84 Ribbons by Paddy Eger is a coming of age story set in the 1950s in the Midwest. Aimed at a young adult audience, the author takes us on a journey of trial and error as a young girl, Marta, receives an opportunity to fulfill her life-long dream of being a professional ballerina. As we watch this 17 year old girl become independent and turn into a grown woman, the difficulties and loss of innocence that she encounters can touch every reader. Paddy Eger does a great job of pulling in the emotional aspects of growing up and how difficult it can be or was for every adult. I was pleasantly surprised with this storyline as Marta encountered serious obstacles that were very believable, instead of just a sweet story with no real issues being dealt with. Overall, I think that 84 Ribbons by Paddy Eger was very well done, and will please any young adult who is wondering what it is like to grow up. I think that the descriptions of the ballet world were very in depth and accurate, so I think that this will be a pleasant aspect of the novel that will please the dancing audience. There are too many coming of age stories out there where the main characters are very whiny, but in this story, the main character is likeable and, as I mentioned before, deals with very serious problems that many others were facing at that time as well. 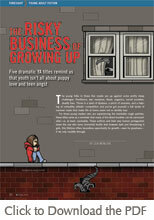 I recommend this book to any young adult, and even parents of teenagers who are about to go off on their own. It is good for everyone to go back into their earlier years and remember what it was like facing the world on your own and how scary it was. ….believable characters who tell an engaging story, 84 Ribbons is sure to please YA readers, giving them a true heroine, who dares and strives to dream big. Wake the Dawn, S.A.V.E. Squad series and more. Any young dancer will find herself in Marta’s story. A compelling coming-of-age novel, Eger’s look inside the world of ballet offers both inspiration and heartbreak. As a mother of a teenage dancer, I read the story and thought about how my daughter would handle herself if she faced the obstacles Marta experienced. The story gave me hope that with a little guidance, she’d find her way much like Marta did. I’m a high school junior and I’ve danced competitively since elementary school. I enjoyed 84 Ribbons because it’s about an ordinary girl from a small town who has the talent and the passion to pursue her goal to dance! The heroine, Marta, gave me hope for any challenge I might face.